Decorating homes may seem like a playful and exciting adventure, but the reality is not always so. It needs smart ideas and a dash of creativity to make your interiors stand out from those of your neighbours, especially if you are short on space! Whether it is your living room or bedroom, the decor must be aesthetic as well as functional and comfortable. While unusual accents can make a unique style statement in your home, you have to be careful not to overdo things. Keeping an eye out for detailing is crucial too. So check out these 7 clever tips to make your home decor the talk of the town. In small homes, studios or loft apartments, space is a premium. In such cases, furniture pieces which serve a variety of purposes are always welcome. They can also create rooms without you having to put up unnecessary interior walls. For instance, this wooden unit combines shelves and a bunk bed stylishly to create a bedroom of sorts. 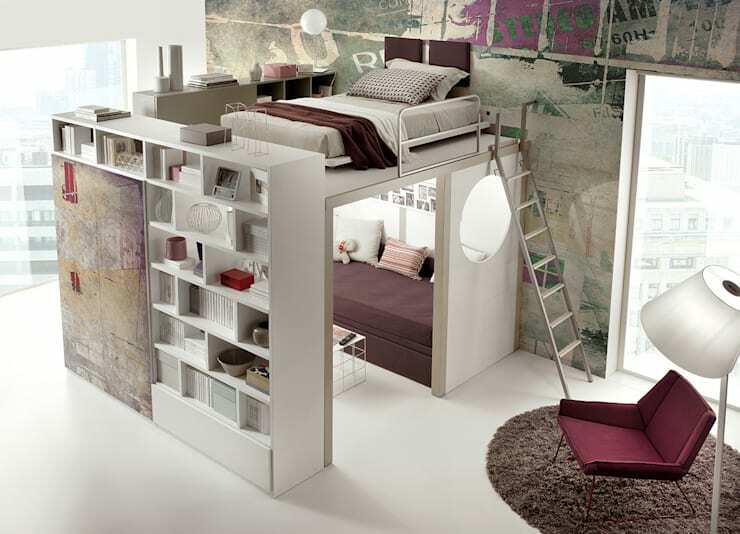 The room under the bed can be used as a den, children’s playroom or study as well. A sleek ladder makes movement very easy. Credit for this great idea goes to the suppliers of furniture and accessories at Tumidei. 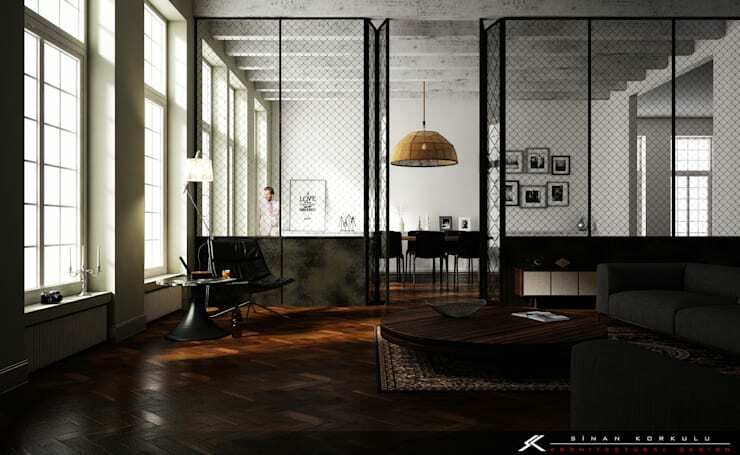 A large hall can be efficiently partitioned with a glass and black metal structure like the one shown here. This will create two separate environments without compromising the openness of the interiors, allowing light to flow everywhere unhindered. 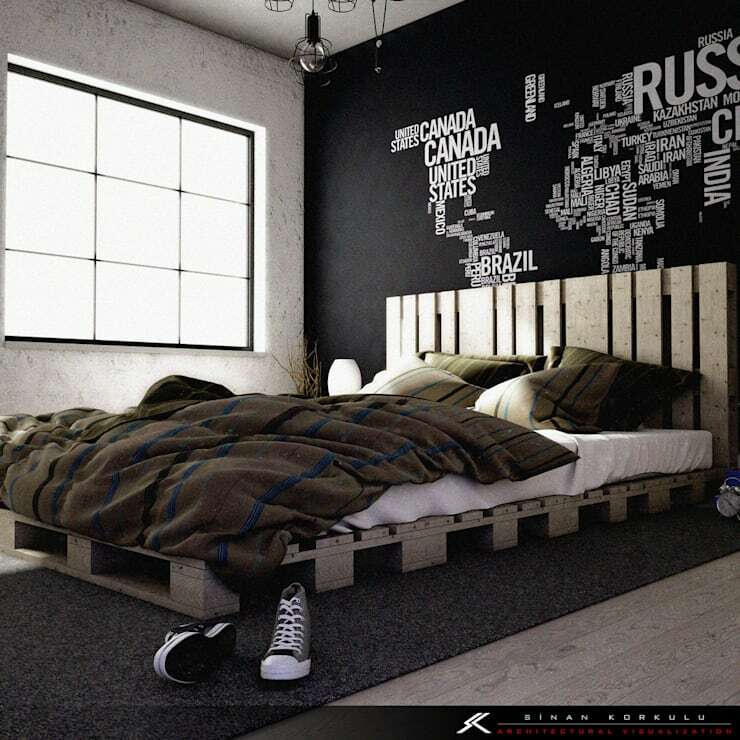 Recycle old wooden pallets by combining them to create an unusual and stylish bed without burning a hole in your pocket. Install a cosy mattress on it and you are all set to enjoy a good night’s sleep. 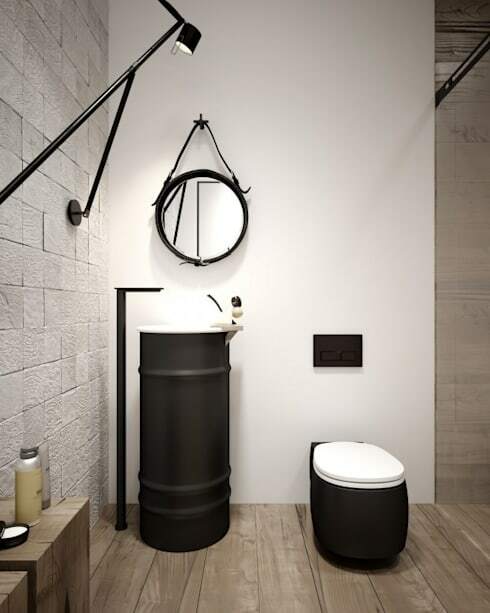 Done up in white and black with a light-hued wooden flooring, this bathroom looks bold and industrial chic. Using black for sanitary wares is an unusual choice but it helps the bathroom to leave a lasting impression. The sink unit especially steals the show with its cylindrical barrel-like shape. The wall-mounted lamp and circular mirror look awesome as well. 5. A bed or a box? Rendered in dark wood and black, this bed looks like a secret box which cocoons the inhabitants cosily. It is exclusive, contrasts the white walls beautifully and demarcates the reading nook on the right and home office on the left. The blackness mimics darkness and ensures undisturbed sleep. 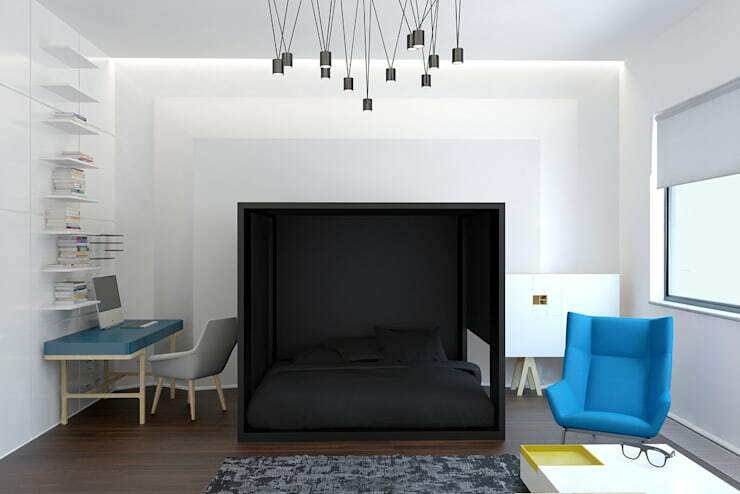 This bed is perfect for one room apartments or studios. 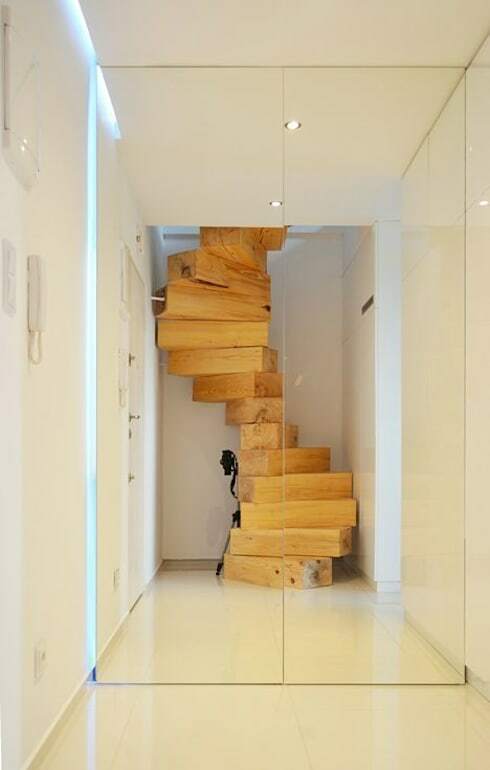 This wooden staircase is a concoction of step-like logs positioned one above another in such a way that very little space is wasted. The texture of natural wood looks very cosy, is eco-friendly and looks extremely stylish. 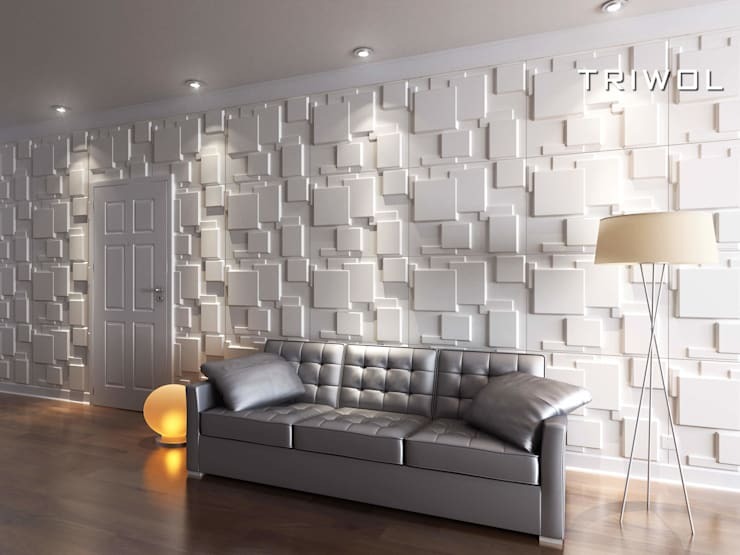 3D wall cladding or wall panels can be used to jazz up any room in the house. Owing to their textured finish, the room will look interesting and completely off the beaten track. Appropriate lighting should also be used to create a fascinating play of light and shadow and ensure visual depth.